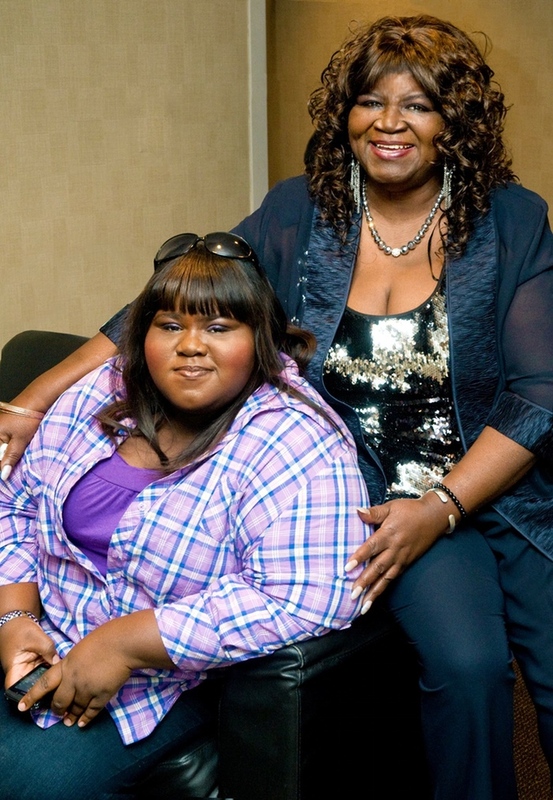 Empire and Precious star Gabourey Sidibe has recently joined forces with her mother via a Kickstarter campaign to fund her album. Sidibe’s 62-year-old mother, Alice Tan Ridley, has been singing in New York City subway stations for a quarter of a century, and needs help to complete her debut album of soulful original recordings and classic renditions. Back in 2010, Ridley appeared on America’s Got Talent (which launched the career of Susan Boyle in Britain after her rendition of “I Dreamed a Dream“) and was hoping the national exposure she received would eventually lead to a record deal, but unfortunately, that didn’t happen. So now she’s taken matters into her own hands, with the help of her famous daughter. Sidibe recently tweeted out the Kickstarter link to her mother’s campaign, writing, “So proud and inspired by my talented MOM with guts of steel and the voice of an Angel. Never give up on your dreams!” So far, $6,853 has been raised from ninety-five people in her goal of $12,500. Ridley is offering great rewards to backers, including dinner with herself and Sidibe. You can listen to samples of Alice’s music on her Kickstarter page and hear for yourself how talented this woman is! She states on her Kickstarter page: “I have decided to produce my album independently. My fans kept asking me ‘when will you have an album?’ and I knew that no matter what, I was going to make this happen for myself and for my fans. Having my own album is my dream.” Alice is truly an inspiration to people everywhere, and I hope that this album will be the beginning of a long and fruitful career for her. You can visit Alice’s official website here: http://alicetanridley.com/ and see if she is performing in a city near you!